5 out of 5 rating. It’s huge! 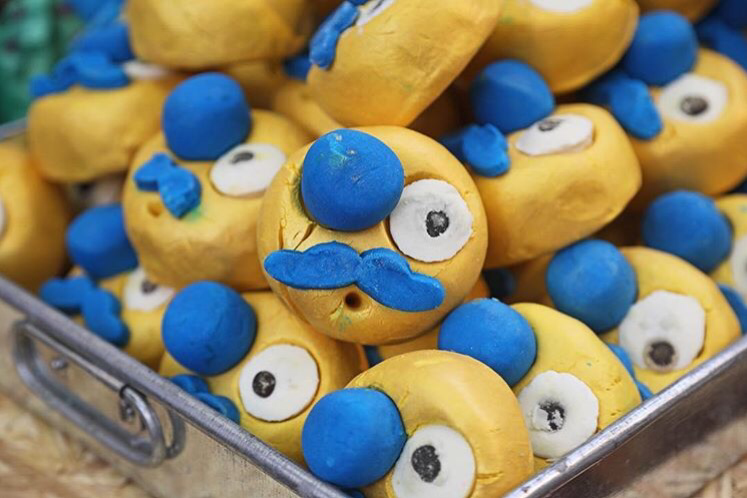 This has the same neroli, lime and frankincense ingredients as Calacas. Here are some photos I’ve taken of mine. I was thinking it was all gold. But it doednt have glitter. Which some of you will like. Petsonally i like glitter, especislly if its a limited edition. I think a glittery blue nose wouldve been perfect. I only used the yellow part in the vid. But you can make bluer water or green water by mixing some of the blue with the yellow part. The blue parts come off. LOVE the calacss scent. 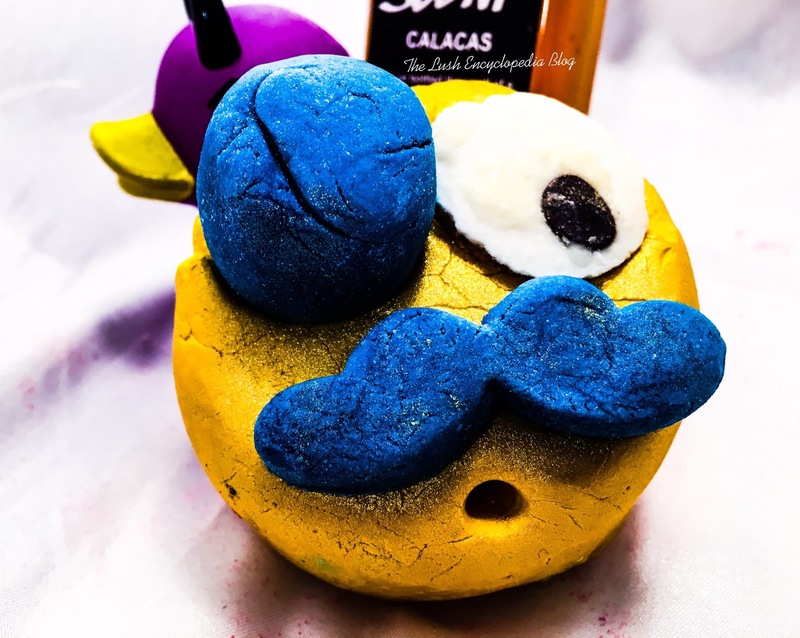 This is the first bubble bar in the Calacas scent. Fantastically phantasmagoric and wonderfully weird, you don’t need a rocket to take a trip to the moon. Credits to lime and neroli oils for their outstanding contribution to lifting moods and chasing away the blues. Just crumble under running water and watch as the special effects of golden lustre swirl in the water as cocoa butter sets the scene for softer skin. Olibanum oil gives the final cut of a grounded and calm state of mind. It’s up, up and away in a rocket ship of citrus bliss. 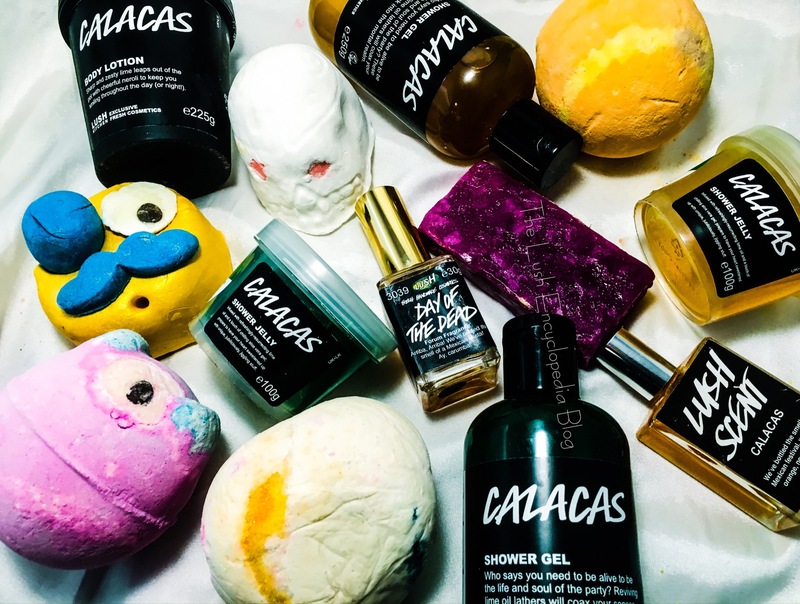 Here’s one of my Lush Scent Family Portraits of the Lush ‘Calacas’ scent family. 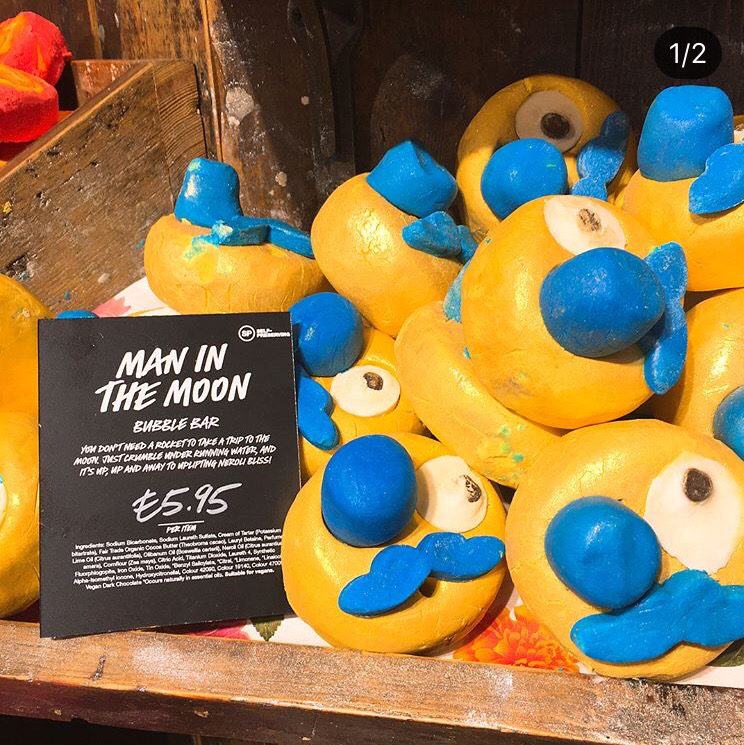 Posted on September 2, 2017 by Lushalot	• This entry was posted in Christmas 2017 and tagged calacas scent family, Christmas 2017, lush man in the moon bubble bar, man in the moon. Bookmark the permalink. Thanks for sharing superb informations. Your web site is very cool. 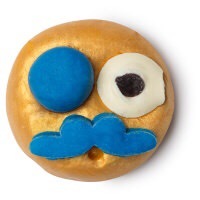 I am impressed by the details that you’ve on this website. It reveals how nicely you understand this subject. Bookmarked this web page, will come back for extra articles. You, my friend, ROCK! I found just the info I already searched everywhere and simply couldn’t come across. What an ideal web-site.